There are moments in my home that can only be tidily described as chaos. I thought of this today as I was thinking of the first time we actually hear of the Holy Spirit in Scripture: The earth was without form and void, and darkness was over the face of the deep. And the Spirit of God was hovering over the face of the waters. I learned this morning that the Hebrew for “without form and void” is tohu wa-bohu–literally waste and emptiness; a wildness. It was a watery desert, lacking purpose and beauty or life. And this is what I love about the Holy Spirit showing up here in the second sentence of the Bible. He’s calling forth beauty and purpose and usefulness. He’s creating life out of disorder and confusion. He’s making something good out of chaos. Ultimately, you could say that’s the job description that was then placed on Adam, on all people: To cultivate order and call forth life. 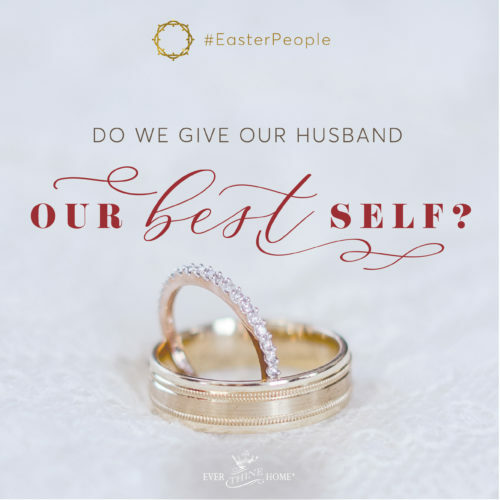 I once heard Elisabeth Elliot quoted as saying that even the simple act of combing someone’s hair follows this command. But any mother will tell you: This world tends toward disorder far faster than we can subdue it. Whereas my chaos last night was a happy one–the overwhelming amount of the world’s disorder is crippling. Painful. Poisonous. We desperately need life-giving Breath of a supernatural caliber. 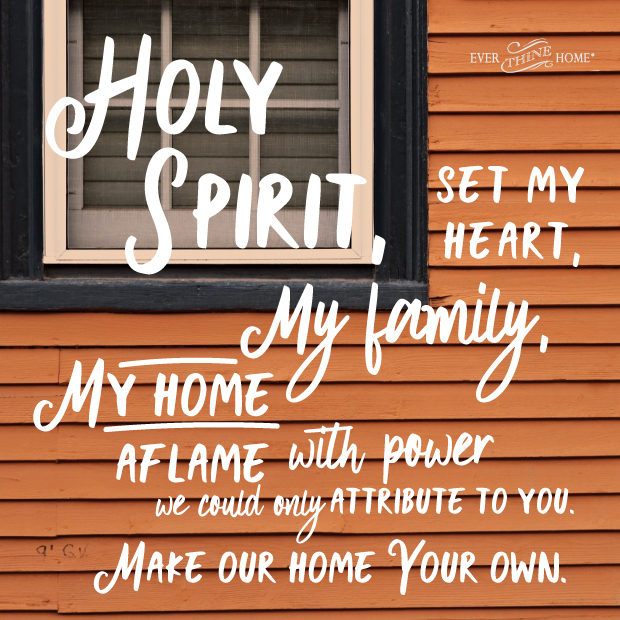 So how can we make our homes…the home of the Holy Spirit? I’m talking that life-giving, turmoil-consuming Force who’s always so much more than we could ever give Him credit for. In a post like this, I’m conscious of reducing Him to something like fabric softener or a dishwasher, that’s just nice to have, or man, what did I ever do without that?! He who billowed the world into minutely-engineered perfection is not the kind of power we seek blindly. Instead, understand that surrendering our homes to the Holy Spirit offers the reins to the very same Power that shook a house on its foundations in Acts. “Inviting Him into my home” is not like swinging open the door for any other guest. As C.S. Lewis might put it–He is good, but He is not a tame lion. But to describe His influence on my family alone would turn a cataracted eye toward the aircraft carrier my home can be. Most of the evangelism in the book of Acts took place in homes! (See this important post on making your home an “open house.”) Rather than just going through some super-mom motions, I now have a clear Director of my home, of my agenda. It’s a home with a technicolor purpose. Imagine your computer running out of juice. You’ve got a tremendous device, with capabilities to communicate all over the world: But unless it’s plugged in and connected to your wi-fi, you’ve got a pile of really expensive hardware. See, doing the right things for God in my home without the power source is just about as impotent as the Israelites seeking to tick off all God’s laws. Not only can I not do it all–I’m utterly inadequate to affect inside-out change without Him. 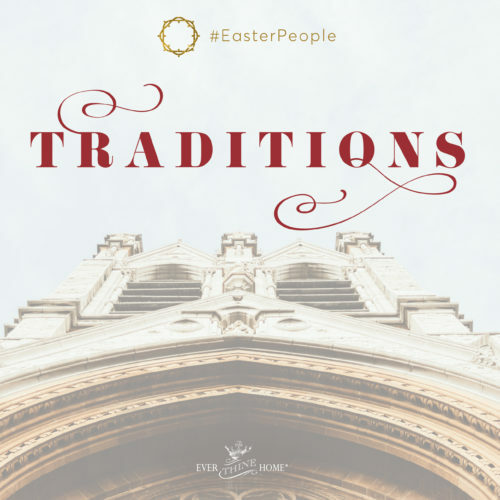 Rather than leaving you with good thoughts and no call-to-action, what I propose is this: What if for a solid month, we asked the Holy Spirit to fill our homes and families? 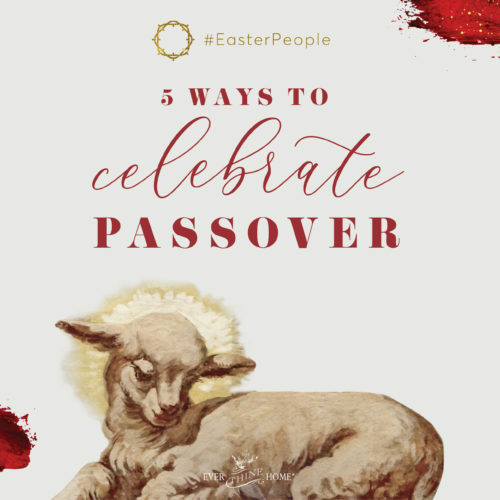 If 20,000 people read this post and 10,000 decided to do it, each having five people…that’s 10,000 homes, 50,000 people aflame, electrified for the sake of God’s Kingdom. I will pray because this is super important. Love that you share this vision, Darlene! This is very exciting to me. I was a pretty rebellious young person when i came to Christ and was initially attracted to this unpredictable, life-changing, against the status quo character of God. Now, after becoming a mother to several kids most days are fairly mundane. However, the idea of inviting this untamed lion in and seeing what he does is quite exciting and stirs up the fond memories of my first love! Great article! Natasha, you get me excited all over again! May God continue to show himself untamed in your home! This is perfect! You might even say ( just what the doctor ordered)!! We desperately need change in the home.. I will pray for the Holy Spirit to be in my home and change what’s needed.. Thank you so much! I love your passionate enthusiasm, Daelene. May He do amazing things in your midst! Committed to trying this also. Holy Spirit fill my home and family, may it/we be a place aflame for You. Amen and amen! Praying this becomes a vibrant reality for you and your family, Carrie. I have already started praying this and will continue to. Thank you for this faith filled message. Love it. So grateful you and your family are with us in this, Erica! LOVE! I agree and join this 30 day prayer! Woot! So thankful to hear this, Angie! So grateful to hear this, Maureen! I am also agreeing in prayer. God Bless you for this post; I so needed to read. Blessings everyone! Awesome! Love to hear this, Liz! Agreeing with you in prayer. I am so thankful for you all at Ever Thine Home! Grateful to you for joining us in prayer, Elizabeth! Thanks for the warm words. My home is broken but I will commit and wait for God’s answer. Rene, I love this commitment despite your longing for healing. May He meet you there. Hugs. Thank you for this! I have a small group of young wives in New York City who have multiple children. This is powerful teaching! I will certainly share to them! So thankful you are there and affecting change! Grateful for you inspiring even more moms, Tina. I will pray consistently and daily. I will affect change in my home. So thankful for your commitment to Him in your home, Gloria! I will pray for the next month for the Holy Spirit to fill my home and family!